A greaving mother should not have to search archives and uncover Endo’s misdeeds. 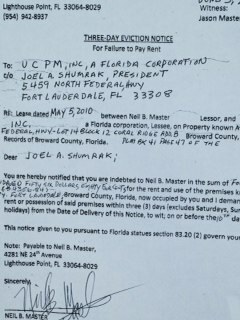 Court documents should NOT be destroyed as part of a plea deal – ever. Too many are dying. We have waited a long time. Watch the video below. 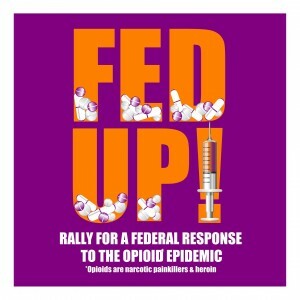 I hope and pray criminal charges will be sought and won, and finally an end to the Opiate Epidemic. The impact of the U.S. opioid epidemic on the future generation of Louisville, Kentucky. (But really every state in our nation). 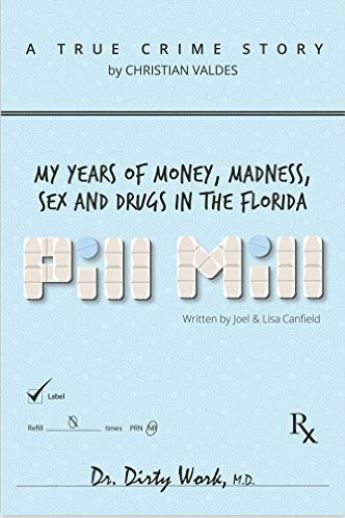 A painfully true story of FL Department of Health/MQA and FL governor appointed Professional Medical/Pharmacy Boards ongoing gross negligence and continued FAILURE to “protect the public health safety of FL citizens”. Absolutely the TRUTH. It shows the on-going gross negligence of the FL Department of Heath and the “governor” appointed medical boards who are charged with “protecting the public health safety” of FL citizens. This on-going negligence continues to rage in FL. 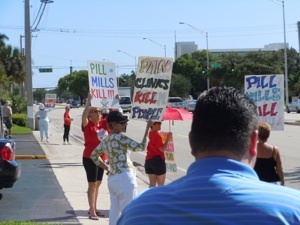 Do NOT be swayed by the media or AG Pam Bondi that the “pill mills” are closed. The storefront clinics are gone, but the physicians are still practicing grossly negligent narcotic prescribing in FL and across the country. This is a man-made (Big Pharma) physician controlled fatal epidemic. Until the self-regulated physician community is held accountable, Big Pharma just keeps making more money as does the physician community. And at the expense of our family/friends/childrens suffering, if not dying from physician legally prescribed narcotic drug poisoning. Big Pharma and the FDA has been attacked for years by advocacy groups, with only very little improvement in physician prescribing behaviors. We must now focus on the AMA, the one responsible for distributing addiction and death on US citizens. One may think that Big Pharma is in control as they continue churning out products that injure and kill people – TAKEN AS PRESCRIBED. The real culprit is the physician community. 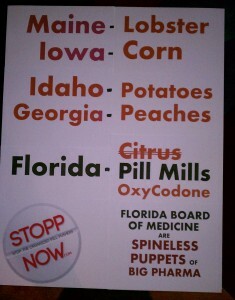 It is they that are distributing the drugs – not Big Pharma. Big Pharma is 100% dependent on the prescribing community. That must be the focus and then Big Pharma’s profits will take a hit. Greed trumps patient safety in the medical community, pharmaceutical industry, and in every level of city/county/state and federal government. Congressman Tom Marino (PA) and Congresswoman Marsha Blackburn (TN) “prescribe” Walgreens be unaccountable for errors in loss of lives… Why? The case is Commonwealth of Kentucky v. Purdue Pharma LP, 07-CI-01393, Pike Circuit Court (Kentucky). 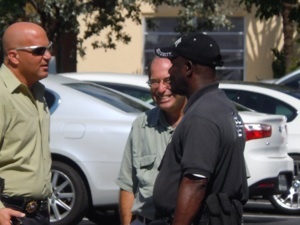 Joel Shumrak and the security guard always in the parking lot. 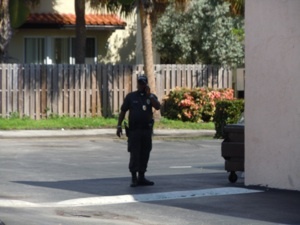 Notice the Glock on his hip. 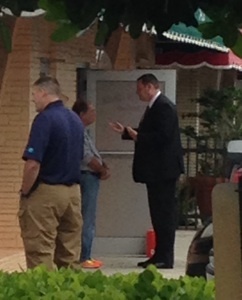 Joel Shumrak arrested June 4th, 2014 and extradited to Kentucky. He’s not smiling now. 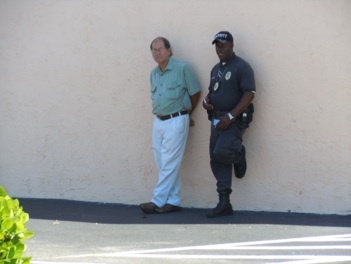 Who Shall We Say Was ‘Asleep At The Wheel’ While Oakland Park, Florida Was Becoming The Nation’s Pain Clinic Capital? 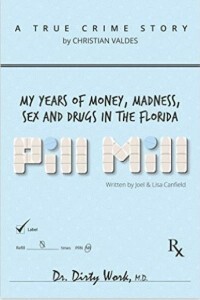 Between July and December of 2008, Oakland Park and its surrounding ZIP Codes were ground zero for the over-concentration of pain management clinics and excessive dispensing of oxycodone pills. According to BSO and the United Way of Broward County Commission on Substance Abuse, approximately 2,738,700 units of oxycodone were dispensed during this period in the ZIP Codes 33334, 33309 and 33311, which make up the City of Oakland Park and surrounding communities. Oakland Park’s zip codes at the top of the list. The narcotics being dispensed are extremely valuable when sold on the black market and are exceedingly addictive. STOPPnow.com [Stopp The Organized Pill Pushers now] organized one of their peaceful protests, at the above pictured location in Oakland Park, in order to raise awareness of the death and destruction caused by this epidemic. 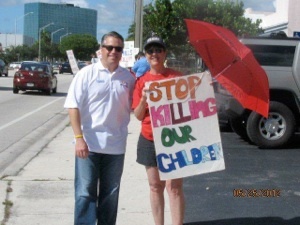 Thank you to Renee, Janet & Joy, the organizers of the STOPPnow.com grassroots effort.